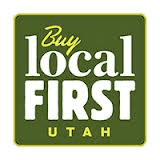 We offer fast and friendly mobile computer repair services in Utah all along the Wasatch Front. We offer computer repair, laptop repair, workstation and server support. Networking issues, training and custom built PC’s. Any computer including: Dell, Toshiba, Sony, Lenovo, HP, Asus, Gateway, Acer, eMachines, Custom Built and much more. From PC repair to server support, internet security, printers, virus removal to anything that has to do with computers. We do it all. Alpine, American Fork, Bluffdale, Cedar Hills, Draper, Highland, Holladay, Lehi, Lindon, Mapleton, Midvale, Murray, Orem, Park City, Pleasant Grove, Provo, Riverton, Salt Lake City, Sandy, South Jordan, Spanish Fork, Springville, Sugar House, Taylorsville, West Jordan, and West Valley.